Meanwhile, my very own garden is surprising me every day. After a slow start, things are still popping out all over. 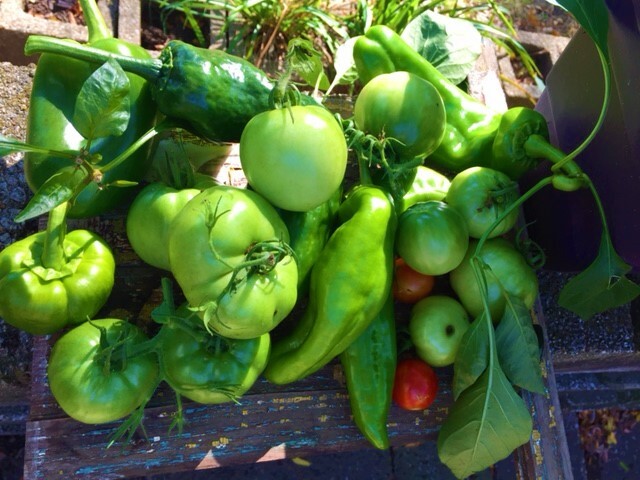 I have a ton of late season tomatoes and peppers, while I should end up with some great eggplants as well. 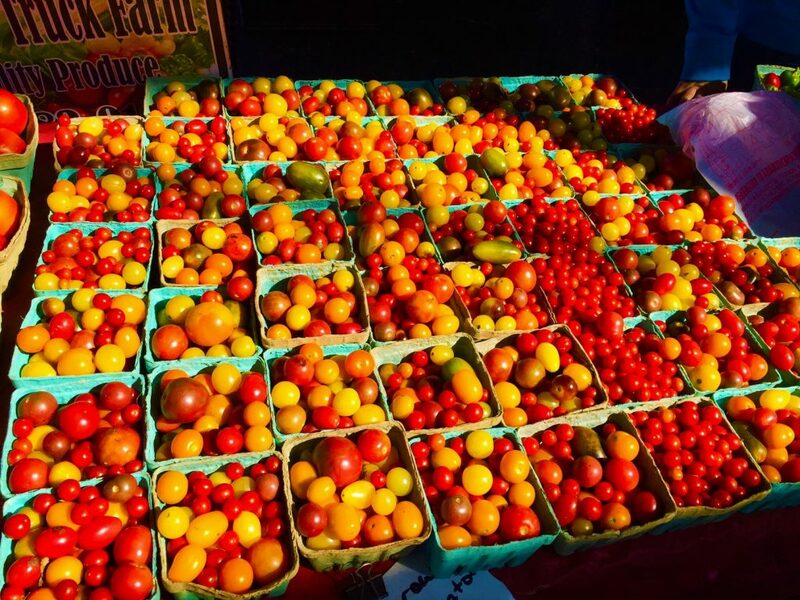 I love stopping in the great Farmers’ Market in downtown Overland Park, KS – I am constantly impressed by the pure bounty of the Midwest growing season. On a recent visit I couldn’t help but stop to take this pic of all the great little tomatoes still on offer late in the season. It may be Fall, but that just means a product with the word “Spring” in its name is bound to be on sale. 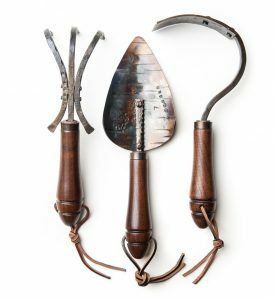 Well, no matter the season, the Spring Planting Garden Tool Gift Set I found from the fine folks at Fisher Blacksmithing is something special – so cool they could be hung on the wall as works of art. Find the Spring Planting Garden Tool Gift Set from Fisher Blacksmithing here. See all the great items (works of art) from Fisher Blacksmithing here. I am not a vegetarian by any stretch, but I do like a good plant-based meal every now and then. The challenge for me is to be inspired, which is why I am happy I discovered the great On Vegetables by Jeremy Fox, with inspiration on every page. 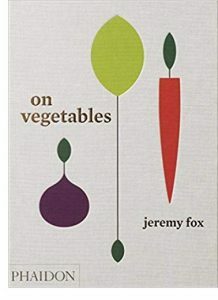 On Vegetables by Jeremy Fox is available from Amazon and fine booksellers everywhere. I just found the C38 carry-on bag from the fine folks at Volcier – perhaps the very last piece of luggage you will ever need to buy. You may balk at the $600 price tag at first, but once you realize how much you have spent on cheaper bags over the years that you had to replace – this thing pays for itself in longevity and style. Learn more about the C38 from Vocier here. 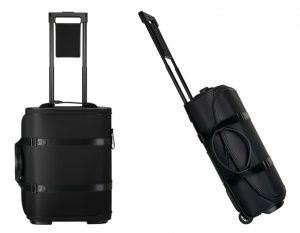 See all the great luggage styles from Vocier here. You must know people for whom today’s find would be the perfect gift: the I Am Silently Correcting Your Grammar Mug I found from the fine folks at The Library Store. 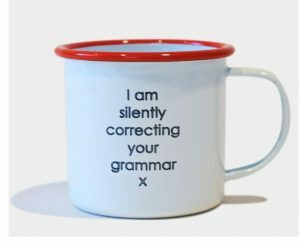 Find the I Am Silently Correcting Your Grammar Mug from The Library Store here. See all the books and literature-related items from The Library Store here. 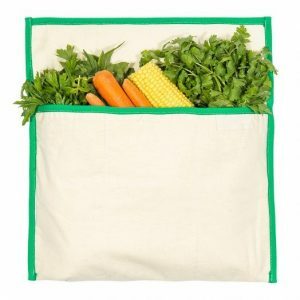 I found the best way to store all those fresh veggies still available at your local farmers’ market – the Fruit and Vegetable Storage Bag from the fine folks at The Swag. Find the Swag Fruit and Vegetable Storage Bag here. 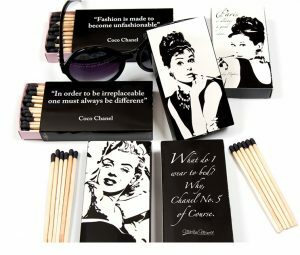 I like to keep some fancy matches around to light my candles and start a fire in the fire place. Some of the nicest matches I have found lately are those I found from the fine folks at The Joy of Light. Check out The Joy of Light here. 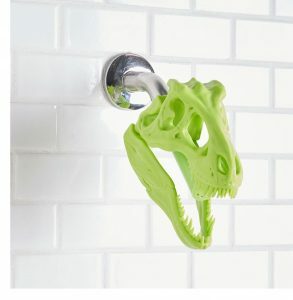 This is one my favorite finds of all time, the So Rex and So Clean Dinosaur Shower Head I found from the fine folks at Mod Cloth. Perfect for a kids shower, an outdoor shower (everybody loves an outdoor shower, no) or an extra shower. Find the So Rex and So Clean Dinosaur Shower Head from Mod Cloth here. I may have mentioned this before, but I am a little bit of a watch-aholic. I have scores of watches, most I have not worn in years but I just need to have around. I love that watches, despite all the ways we have to tell time in the digital age (“hey Alexa what time is it”) they are still the perfect accessory for the well-dressed man. Which is why I love the opus to men and watches, A Man and His Watch by Matt Hranek. 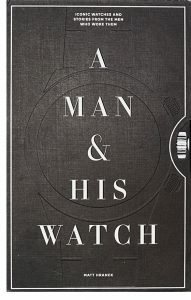 A Man and His Watch by Matt Hranek is available from Cool Materials (psyche!) and other fine retailers everywhere. You know what they say – everybody needs their own personal sweat management system, which makes the Sweat Towel Set I found from the fine folks at Plum and Punch perfect for everybody. 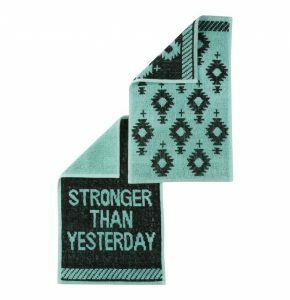 Find the Sweat Towel Set from Plum and Punch here. Lost Cowboy is powered by	WordPress 5.0.4 and delivered to you in 1.002 seconds using 58 queries.